Jerrod Schreck is senior vice president, land stewardship. Schreck is responsible for A&B’s working lands portfolio, which includes diversified agribusiness, renewable energy, and resource conservation. Schreck joined the company in August 2015 as director of land stewardship and renewable energy development. Before joining A&B, he was the founder and principal at Ecopelago, a strategic advisory and project management services firm. 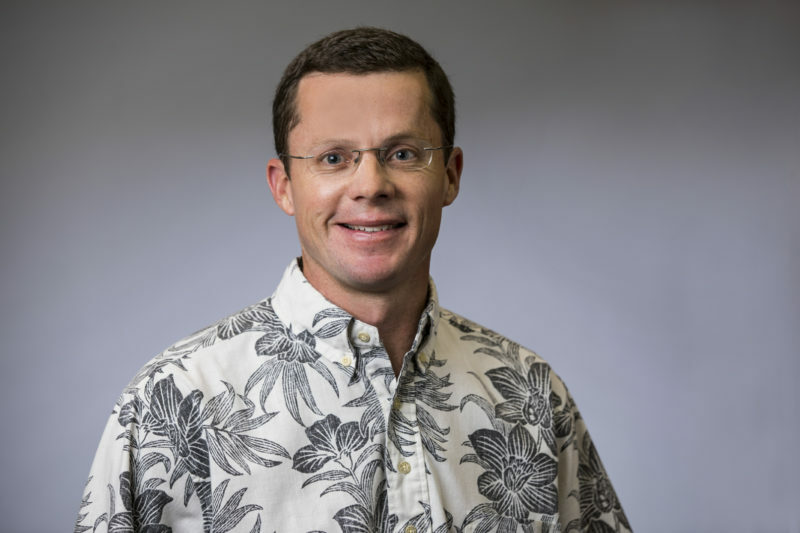 Previous roles include leadership positions at for-profit and not-for-profit organizations in Hawaii, including Hoku Solar and The Nature Conservancy, among others. He began his career as a naval officer, serving more than ten years on active duty. Schreck earned a master’s degree at the Institute for the Study of International Politics in Milan, Italy, in 2002 and a bachelor of arts degree in Biology from Cornell University in 1995.